Lady Liberty may soon reopen its doors to visitors, regardless of the federal government shutdown, according to Governor Andrew Cuomo. Cuomo announced Friday that he had reached a deal with the federal government to open the statue by funding it by the State instead. New York State would be responsible for funding National Park personnel at a daily cost of $61,600. 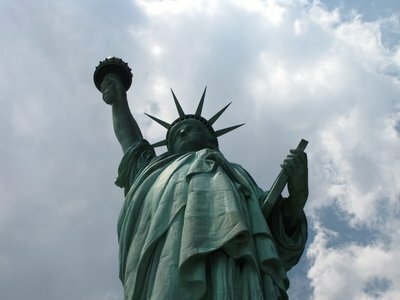 “The Statue of Liberty is one of this country’s most recognizable landmarks, attracting millions of visitors to the state every year, and its closure these last 11 days has had a terrible impact on the local economy and tourism industry,” Governor Cuomo said in a press release. “Every day that Liberty Island is closed means we are losing visitors who would otherwise be spending at our local businesses – not to mention the employees who maintain the park and have been forced out of work. As the shutdown continues, we cannot afford to lose the thousands of visits to the park each day. Under the agreement, the statue will reopen to the public today in time for the holiday weekend. The state will pay for the first four days of the Statue of Liberty’s reopening using funds from the state’s tourism department. In order to keep the park open, the state must give the federal government two days’ notice for each day they want to keep it open, and provide the $61,600 to the government to pay for each day of staffing. Over 400 jobs have been lost at the Statue of Liberty and Ellis Island due to the government shutdown. The historical site has been refusing entry to an estimated 10,000 visitors daily. According to the press release, the federal government is losing $50,000 per day in concessioner fees. The Lupus Alliance announces their new website section, Ask Our Chef. Subject: LongIsland.com - Your Name sent you Article details of "Cuomo Announces Agreement to Reopen the Statue of Liberty at a Cost to the State"